After a catastrophic loss of ALL my cow templates and warcow related files, I have decided to start anew. No I did not create the other Pikachu you have already seen. I have named my files so that there is no interference if you have that version installed already. My cow friend turkeyslapper has already tested it, but PM me if you find any problems with this skin. I would like it better if it had more texture and didn't look so flat as EvilGrins said on your Miltank post. Last edited by Unknown on Tue Mar 10, 2015 9:22 pm, edited 1 time in total. Better musculature in the previous Pika. With permission, I'd like to try and transfer the face from this new one, and some other aspects, and transpose them on the old one. I also got a Pikachu voicepack, if anyone cares. U say the same thing every time. I know how to Mask layers. It never looks right to me. Pikachu and Miltank are not muscular creatures. The in-game shadowing is fine for me. I'd prefer not to mix my work with the other version. I released this version because it is Final. Now this is just a matter of opinions, I agree with EvilGrins that it would look better with the skin showing a little more texture, adding a little depth and lights rather than showing muscles. 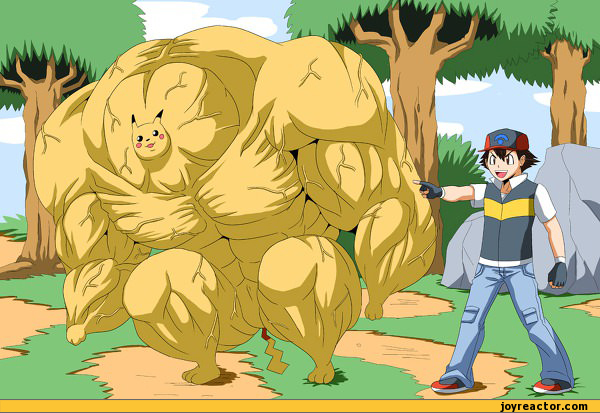 And what exactly do you mean Pikachu is not muscular? I get what you mean Hot Beef Injection, we are not trying to make your work seem like it took less effort. I actually like the work you did on the face, how the eyes are actually on the sides of the head giving it more realism to how a Nali Cow Pikachu would be. However, it is still quite colorful for me when it comes to Unreal Tournament at least. 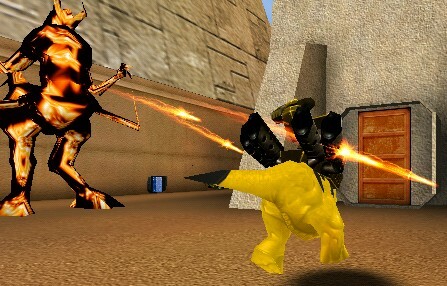 On a side note, we need a Pikachu Male Soldier or Commando. Unoriginal of Pokemon... and you are nasty. I also lost my skin template and now going for a new one. I love this same issue topic.